mp3DirectCut for Windows 10 - audio editor mp3 format with enhanced functionality. The application is able to edit audio without decompression, includes tools for detecting silence, placing labels, trimming, combining multiple tracks, changing the volume level, tone and playback speed. The program supports DVB audio and fast visualization of tracks, can change the bitrate and convert the format using third-party codecs. 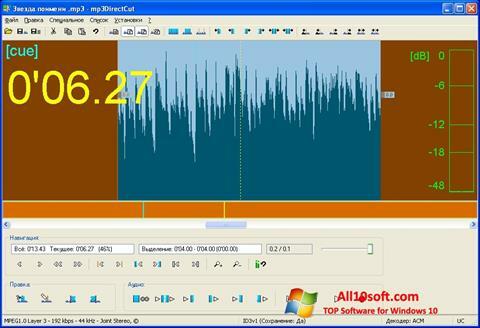 The utility does not require installation and contains a number of presets to automatically normalize the sound of downloaded files. You can free download mp3DirectCut official latest version for Windows 10 in English.